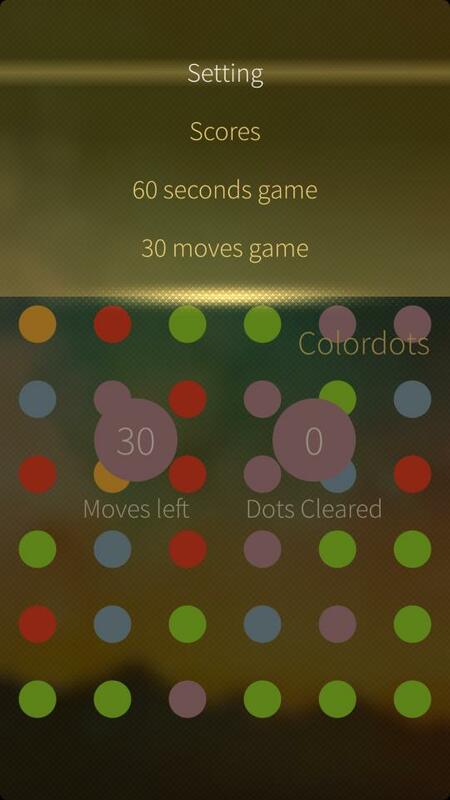 Colordots is a game of connecting. 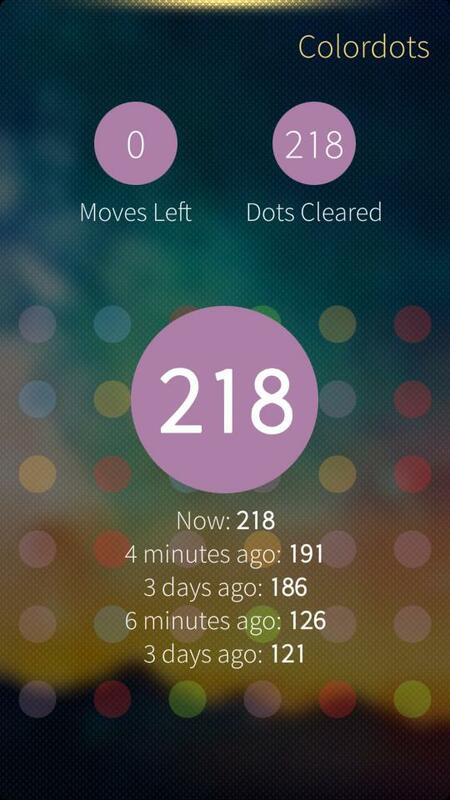 Link as many dots as you can in thirty moves or 60 seconds. 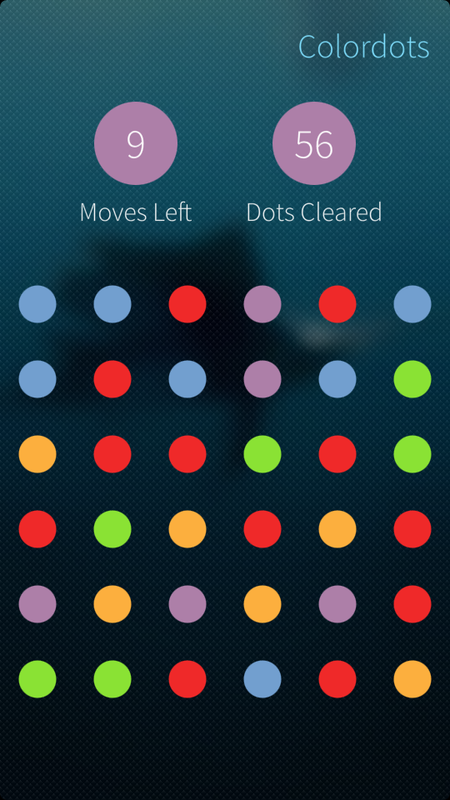 Connect one dot to another, connect four dots to make a square. 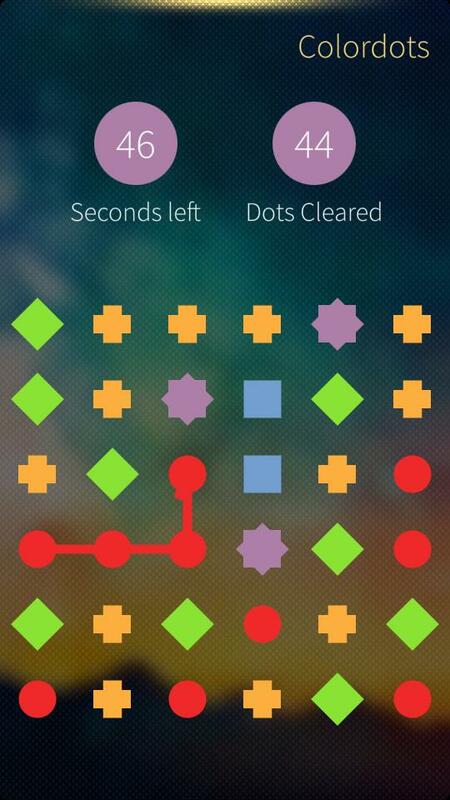 Similar to Dots game for Android/iOS. Ported from Dotty which is written for Ubuntu Phone by Robert Ancell (https://launchpad.net/dotty). 0.4.0-1: Fix wrong shape if no moves possible. Fix race condition in 60s mode. 0.3.0-1: New game mode: 60 seconds. Setting for using both shapes and color. 0.2.0-1: Add About page and menu for score and new game. is it possible to port to harmattan? The game is just QML (and GPL) so porting to Harmattan should be possible if someone wants to do it. Unfortunately I don't have tools for that. Please please please implement undo move function. Lack of it is driving me crazy. Otherwise thank you very much for my new addiction. 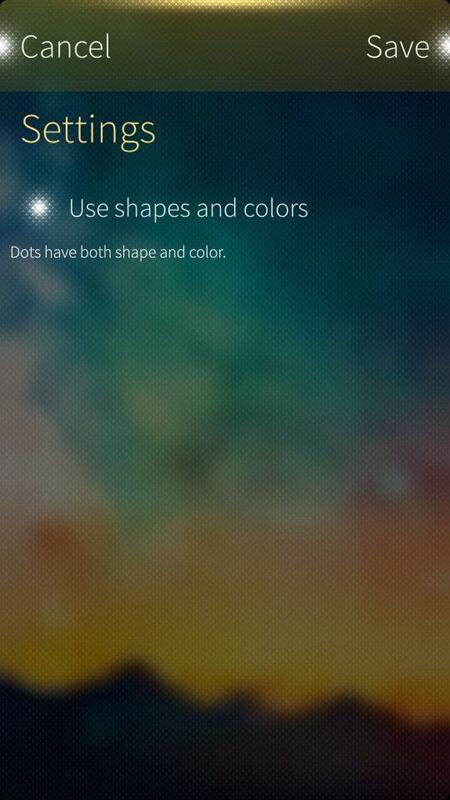 Colordots is now available also in Jolla Store.